Now that we’re well and truly into the festive season I thought you might like to download a nice Snowman project from our member’s project section over on the Crafter’s Companion site. 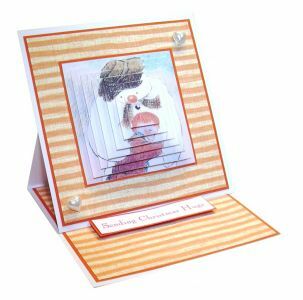 The one that I’m going to link you to today is the ‘Sending Christmas Hugs easel card‘ but there are lots more delightful cards that are available for you too. You can either view them on the screen or you can download them as project sheets – it’s entirely up to you which you prefer to do. Today though I will just direct you to the page so that you can choose whichever option you want! Don’t forget that you will need to be logged in to see the page! If you’re not a member click here to join up! Remember that there is an offer on the Snowman products in our birthday week celebrations so if you order before the end of the today then you will be able to get both the CDs and the rubber stamp set for just £20…plus you’ll get free P&P too! Don’t snooze – grab this Snowman bundle and save almost 50% while you can!